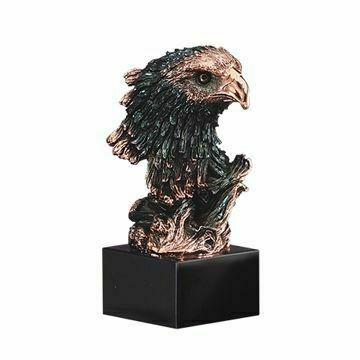 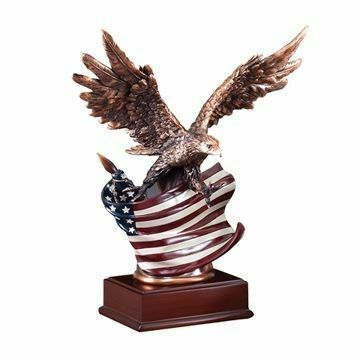 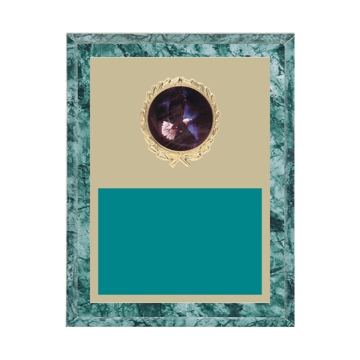 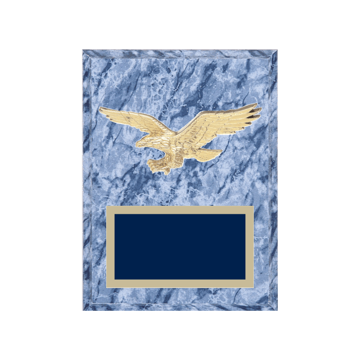 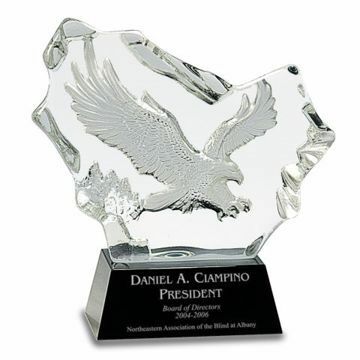 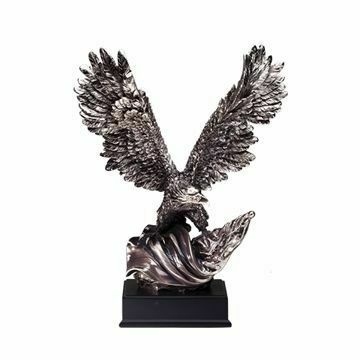 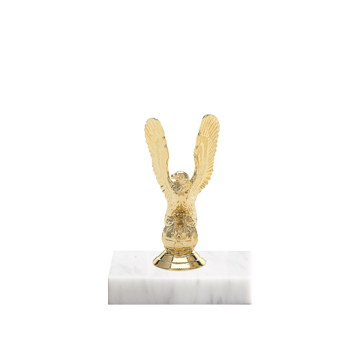 An Eagle Trophy of crystal, bronze or resin in full flight by Newline is a stunning way to recognize any Eagle Scout for years of dedicated hard work. 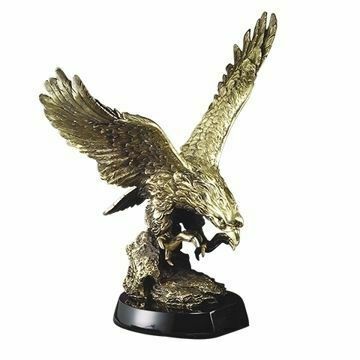 From traditional Eagle Trophies, Eagle Plaques and Engraved Eagle Medals our selection, with over 1000 custom design options is second to none. 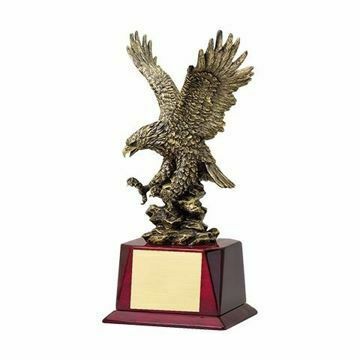 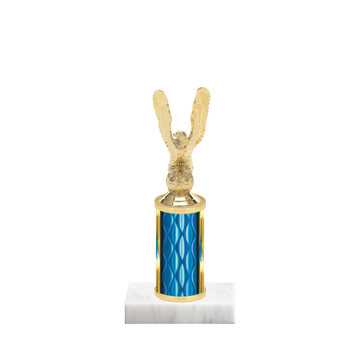 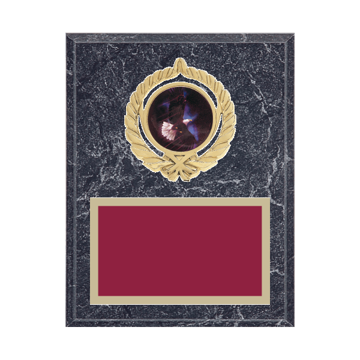 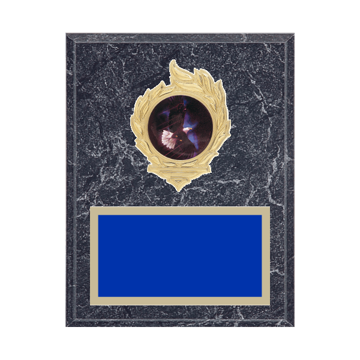 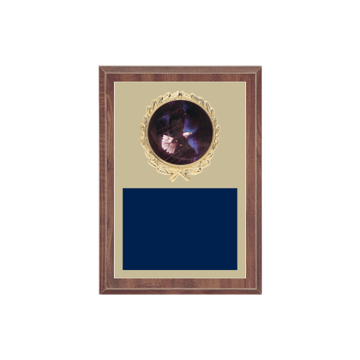 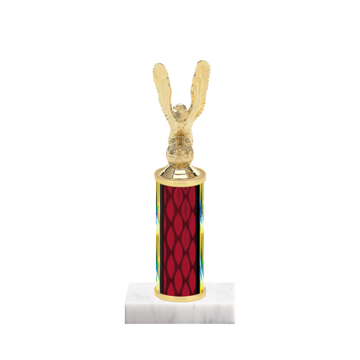 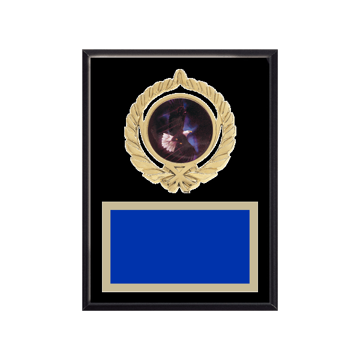 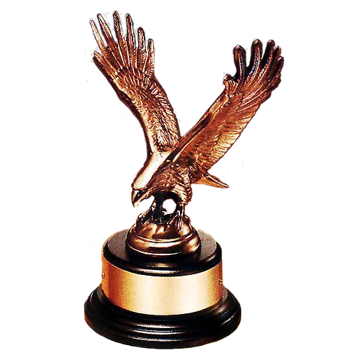 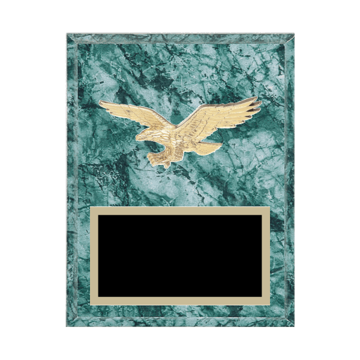 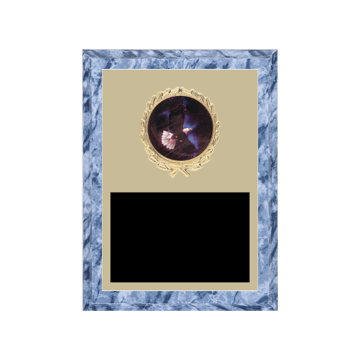 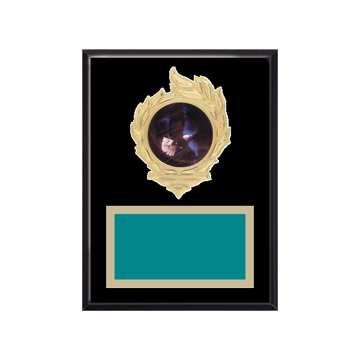 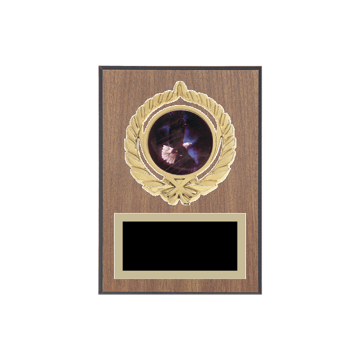 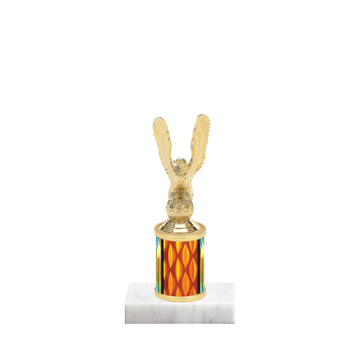 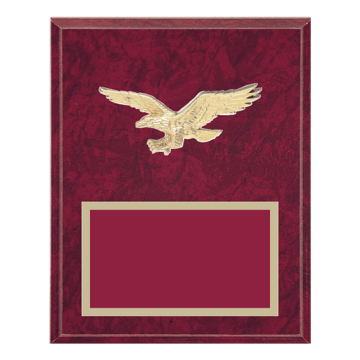 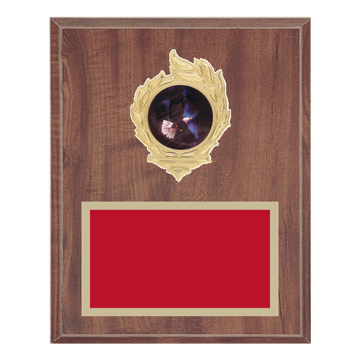 Try our custom design tool on any of the traditional trophies or plaques to create a one of a kind Eagle Award. 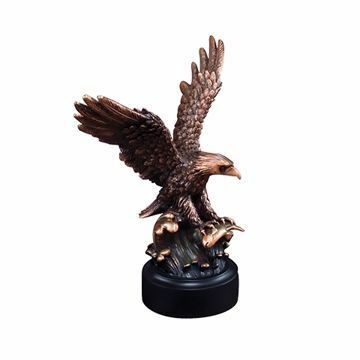 Fully Modeled Antique Bronze Eagle Casting On A Black Wood Base.